Jodie Cunningham is a modern rock-edged country artist that delivers a blend of cover songs and original material truly relevant in today's Nashville music industry. Jodie is wowing audiences all over New England with her passionate, high energy vocal performance, backed by four, seasoned & well versed musicians. Jodie' vocals and the band's musical prowess is both dynamic & exciting—their on stage presence is high energy and infectious! With a driving rhythm section, screaming guitars, tight harmonies and soaring lead vocals, this team will certainly prove that they are not your traditional country band, but a modern country music fusion that crosses over into rock & the top 40! 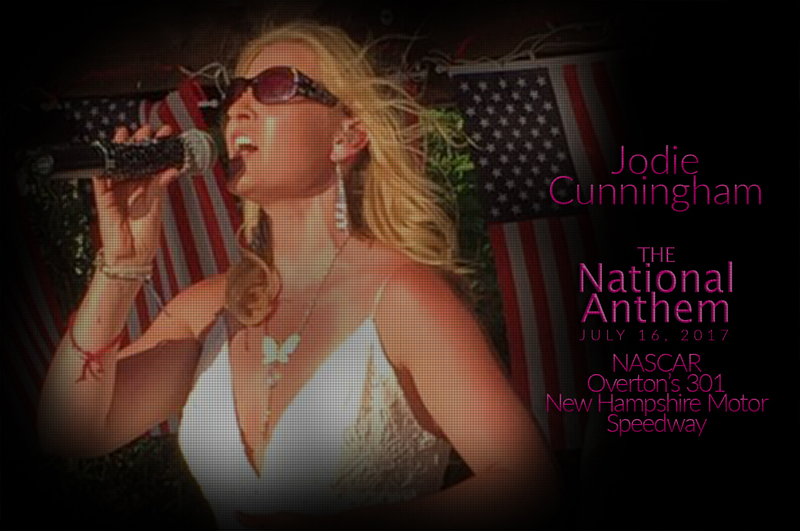 Jodie has many credits to her name, some of which are; New Hampshire Idol winner, finalist (regional and state winner) for the Colgate Country Showdown, and vocalist and entertainer of the year in the NHCMA. Jodie has opened for and/or shared venues with national acts such as; Sugarland, Zac Brown, Kenny Chesney, Toby Keith, Gretchen Wilson, Carrie Underwood, Joe Nichols, Emmerson Drive, Steve Holy, Big n’ Rich, and Little Big Town. Major venues that Jodie have entertained at include; Gillette Stadium, Meadowbrook US Cellular Pavilion, The Palace Theater, Comcast (Tweeter) Center, and the Virizon Wireless Center, Bike Week and Nascar Circuit. Meet the magic behind the music! Take a listen to some of our cover songs that we perform at our LIVE shows! Album plans are in the works, so stay tuned! Jodie, the band, our fans, our shows.. we have it all right here! We update our gallery regularly, so much sure you check back with us soon! A special thank you to Almorinda Photography, Bruce Preston Photography, Dagda Photography, and Tony Campo. See The Jodie Cunningham Band in action! Make sure you check out our YouTube page to check out our latest videos! A Special Thank you to Newscam 603 for the videos! Come and see us! We are at our best when YOU are there! Stay connected with us on Facebook for regular updates and more news! Don't miss out! Sign up to stay informed! Follow us on our amazing music journey! Check out our TOUR schedule so we can see you at our next show and follow us on Facebook! Interested in Booking The Jodie Cunningham Band? Fill out the contact form. We are looking forward to talking with you! Check out our sponsors! For more information on sponsoring The Jodie Cunningham Band, please fill out our contact form above.